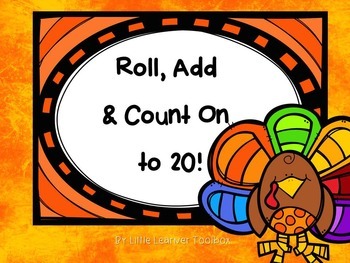 Explore 20 with this 'Roll, Add and Count on to 20' Thanksgiving Game! 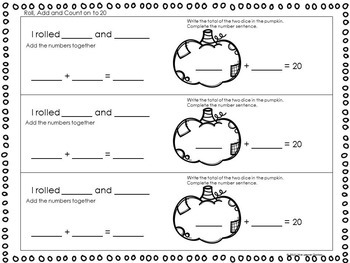 Students roll the dice, add the numbers, count on to 20 and record their answers. Ideal for a math center! 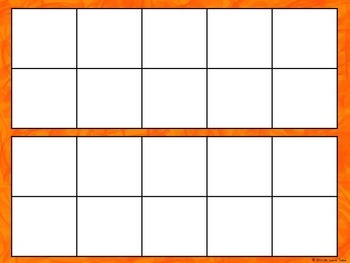 This game can be played in two different ways depending on the level of the students. 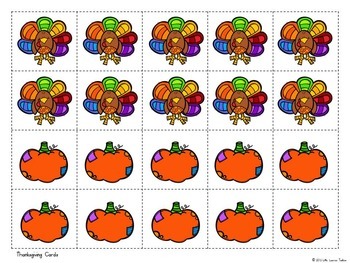 Basic Game: Students roll 2 dice. They add the numbers together and record the total. Advanced Game: Students roll 2 dice. They add the numbers together and record the total. Then count on to 20. Copyright © 2013 Little Learner Toolbox.